We enhance outcomes and help our partners save money so more dollars go directly toward health services and research, rather than administrative overhead. As a trusted partner to more than 300 initiatives advancing population health, we provide nonprofit administrative services that touch more than 39 million individuals across the United States. Heluna Health provides services that touch more than 39 million individuals across the United States. Through our work, we help advance the prevention of communicable disease, vaccine research, innovative diagnostics, and health equity. Nearly 295,000 individuals from vulnerable families, including low-income pregnant women and children, are served annually through our PHFE WIC program—the largest nonprofit network of WIC centers in the U.S. Hundreds of studies show that WIC helps improve the health of pregnant women, infants, and children up to age five. 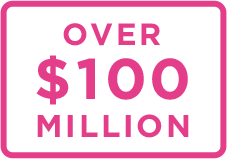 Heluna Health manages over $100 million in public and private funds annually, helping researchers and universities, health organizations, and consortia use dollars more efficiently for evidence-based population health and related activities. Our evidence-based Little by Little School Readiness Program currently serves more than 60,000 low-income families and children ages 0-5, helping to accelerate cognitive development and academic achievement for our next generation of leaders. In a randomized controlled trial, children served by Little by Little were significantly more school-ready than those who were not. "CYAN has been a successful project for the past 20 years due to Heluna Health’s ability to handle the behind-the-scenes administrative and fiscal duties, so that our team can focus on what we do best—deliver our programs. We have complete confidence in Heluna Health, their staff and the support they provide us. We wouldn’t be where we are today without their management expertise." "We have been a part of Heluna Health since 1976. 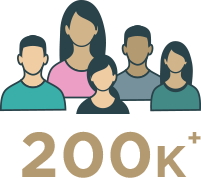 Heluna Health has done a great job supporting us in providing services to over 200,000 participants throughout Los Angeles, Orange and San Bernardino Counties. Heluna Health provides great human resource services to our 625 employees, and excellent service in executing our contracts to make sure all state and federal regulations are followed. We are proud to say that we are part of the Heluna Health team. The team is always there for us." "I can’t thank you enough for the excellent services, attention to detail, collaboration and professionalism you brought to this process of rolling out funds to local health departments and vector agencies. I know there was so much needed to develop the system, and provide guidance to all applicants. It was a pleasure to work with you and be part of the process." When we pool our resources, we make greater progress together. By donating or making an institutional investment to support our partners and programs, you’ll positively impact the health and well-being of the communities we share. Because everyone deserves a chance to live a healthy and productive life. You can help us improve Heluna Health’s impact on population health by supporting us.